Licensed Creative Arts Therapist/ Certified Child Life Specialist). She asked that I help spread the word about her organization. I am actually happy she contacted me - I'd love to sign The Boy up for this. And I'm more than happy to share this kind of information with parents. 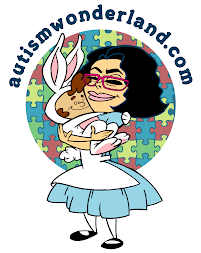 Lina runs an organization called ARTS Rx which provides Art Therapy, Music Therapy, and Dance Movement Therapy services to special needs children with ASD in the NYC area. ARTS Rx has open registration for our 4 week Summer Social Skills Group Series for special needs children between the ages of 3-8. The Sunday program includes Art Therapy and Dance/Movement Therapy Groups. Art and Dance/Movement Therapy provide a non- threatening medium where unique outcomes are possible. They offer an integrated approach that combines hands-on creative arts experiences through the modalities of art therapy and dance/movement therapy with best-practice interventions to address treatment goals such as: Social Skills, Coping Skills, Communication, Sensory Integration, Attention Span, Self Esteem and Developmental Growth. *No compensation was received for this post.